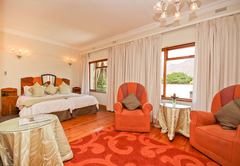 Montagu Country Hotel is a 4 star graded hotel offering Montagu accommodation in 33 guest rooms. 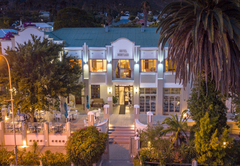 The Montagu Hotel’s Colonial “Art Deco” style is based on the 1920’s Paris design. 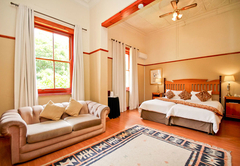 This unique style is themed throughout the hotel, making the old world charm very evident. 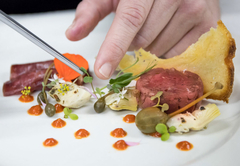 In a region known for its hospitality the staff at the hotel aim for personable but professional service. 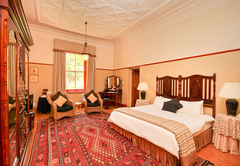 All rooms are initially decorated in either Art Deco (classic) or Victorian (luxury) style. 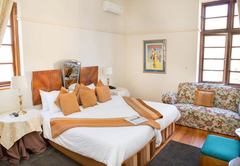 Our luxury rooms are substantially more spacious than the classic rooms, and are equipped with mini-bars enabling guests to stock up with drinks and fresh milk. 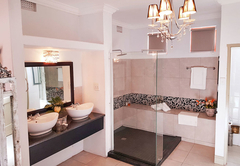 All luxury rooms also have separate bath and shower where the Classic rooms mostly have shower over bath. 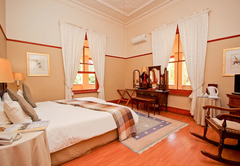 Our classic rooms, although somewhat smaller than our luxury rooms are creations of extreme comfort for our guests. 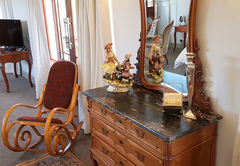 Gay colours typical of the Art Deco period are being used and every room is furnished with a beautiful Art Deco dressing table and fabrics of that period. 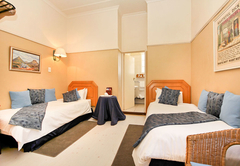 Most classic rooms are in the main hotel. Guests can experience the healing water of our mineral pool. 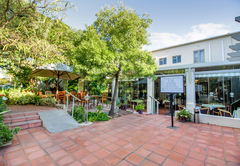 The Wellness Center specializes in health treatments, and boasts a steam room and mineral bath. • Explore the wine route in chauffeur driven Cadillac. Modern conference facilities for up to 60 delegates. Equipment available in the centre : Data Projector, dvd, video, ohp, airconditioned. 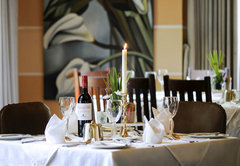 Various teambuilding activities are available, including the following : wine tasting, river cruises, quad biking, rock climbing, horse riding, mountain biking etc. 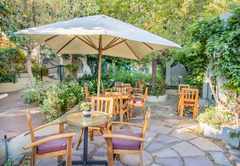 With the excellent weather and outdoor options, Montagu is a great destination for team building. 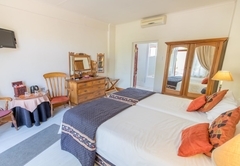 Route 62 is the historical route, which was the main link between Cape Town, the Garden Route and Port Elizabeth before the N2 highway was built. 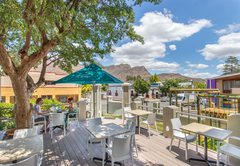 It is not only offers a 70 km shorter option between Cape Town and Oudtshoorn, but also runs through the most beautiful mountain passes, alternated by typical Klein Karoo vegetation, vineyards and fruit orchards. It passes through 14 beautifully preserved villages where time has stood still for 40 years. 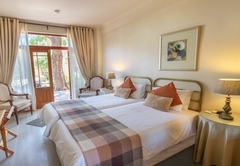 Our Classic rooms, although somewhat smaller than our luxury rooms are creations of extreme comfort for our guests. 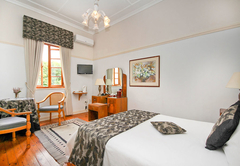 All rooms have ensuite bathrooms, air-conditioning, television, telephone and coffee and tea making facilities. 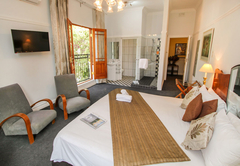 Our luxury rooms are substantially more spacious than the classic rooms. 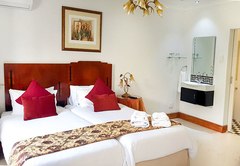 All luxury rooms also have seperate bath and shower. 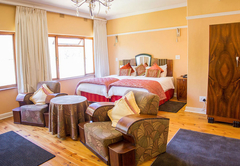 Also fully equipped with air-conditioning, television, telephone and coffee and tea making facilities. 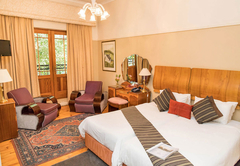 Boasting a spacious 60 square metres, this luxury accommodation offers original French Mahogany furniture along with an extravagant bathroom including a Jacuzzi bath and double volume shower. 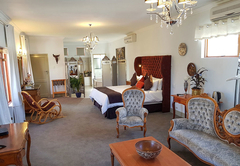 Wonderful Country Hotel in the heart of Montagu. A lovely little town that is so relaxing and much to do in the area. 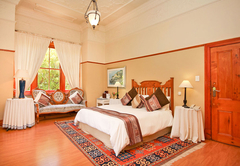 The Montagu Country Hotel is divine. 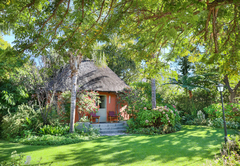 If you haven't stayed there you are so missing out on this little gem and all it has to offer. 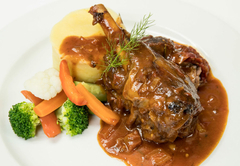 The food is excellent, especially their traditional Cape cuisine. Oom Kosie who plays the piano in the evenings at dinner, roaring log fires and good wine. Spa facilities are available too. The tour around town in the Cadillac a real treat. 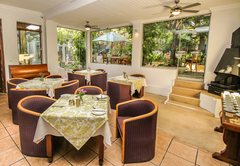 The staff are friendly and always have a smile on their faces. The gardens are beautiful and so relaxing to just stroll about and smell the roses and herb garden. Thanks to all for our stay. We love this hotel and will be back for more. Arrived and the staff were so welcoming, all the staff on duty that evening wanted to do something to make you feel so at home. The welcoming was really overwhelming and so friendly, even the glass of local Muscadel had the warming effect. The rooms very warm and cosy, the views were breathtaking. It was what we needed being on holiday, a place to relax and feel at home. The highlight was being driven around the town and neighbouring area of Montagu in one of their classic cars. We were fortunate enough to have a guided tour by PJ in their 1956 Cadalac. 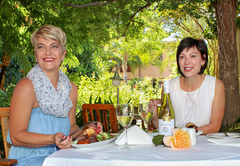 I would definately pay them to take me out to a couple of wine estates situated close by for the day and just enjoy the wine, the conversations and obviously listening to the Beatles playing while enjoying your confortable relaxing ride. 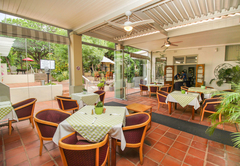 Many thanks to PJ and the team of Montagu Country Hotel for their hospitality and enjoyment. We will return. 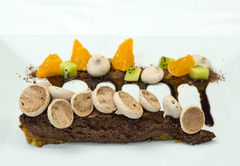 And for those who haven't been, you better, you'll be missing out on something awesome!!! 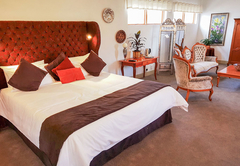 Response timeMontagu Country Hotel typically responds to requests in 5-10 minutes.